Today i will explain one more Trading System which is known as CAMARILLA Pivot Point which will come Handy for Day Trading Purpose. Discovered while day trading in 1989 by Nick Stott, a successful bond trader in the financial markets, which uses a truism of nature to define market action – namely that most time series have a tendency to revert to the mean. In other words, when markets have a wide spread between the high and low the day before, they tend to reverse and retreat back towards the previous day’s close. Input to the Systems is yesterday’s open, high, low and close. 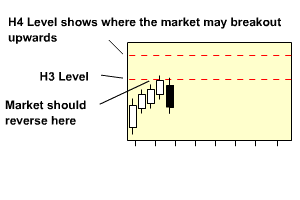 These levels are, frankly, astounding in their accuracy as regards day trading, even to seasoned traders, who know all about support and resistance, pivot points and so on. Look at the opening price for the stock/futures/commodities/currency. Wait for the prices to come in range and trade accordingly. With help of Camarilla pivot formula, I plotted H3 and L3 for current month on monthly chart. Now the stock price has hit both H3 and L3 in the first week itself. So now how the price will move for remaining week. Will it again turn around and hit H3 (on reversal) or move around L1 and L3 levels. Can you provide the backtest results using the camarilla pivot points. It ll be very usefull for the day traders like me if you could post an article on how to trade with the camarilla using the MACD and RSI indicatiors for better performance. For Nifty Trading, which numbers more useful, Nifty Spot or Nifty Future. on which time frame we use this system? M5? Sidhartha, I too would like to see backtesting results. This is a common necessity for day traders though, as it teaches the tenant of “taking profits”. 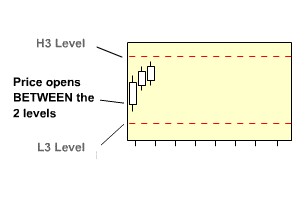 Knowing when a mean reversion will take place can turn a long term 100% gain into a 500% gain if you know when the trend will reverse. The biggest sector for these huge increases and reversions are small caps. I like the free reports at http://www.microcapreports.com/ for when I day trade. Yes sir i have back tested the system myself and results are pretty good but u need to add some indicators like MACD and RSI to get 80% Success Rate. It would be wonderful to see back testing results for atleast one month on this.